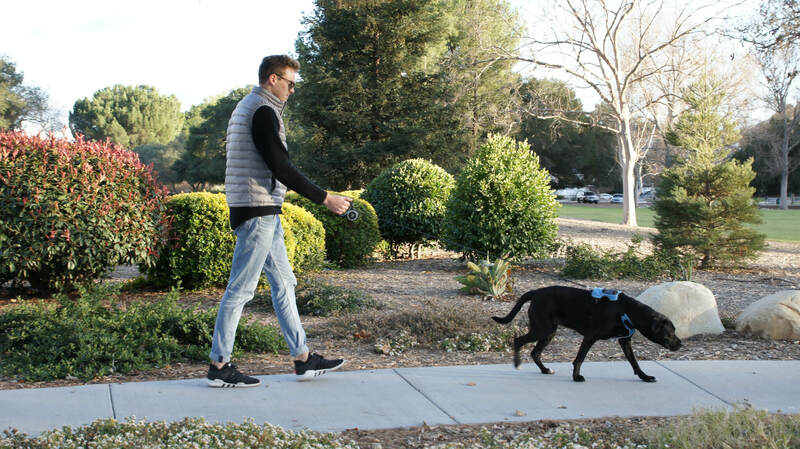 The Rollo Harness offers pets and pet owners a new-found freedom by turning the traditional two-piece leash and harness process into an efficient, integrated one-piece system. 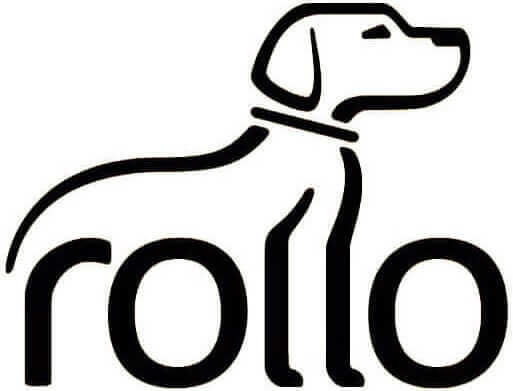 With Rollo, your dog’s leash is always conveniently attached to their harness for easy access. 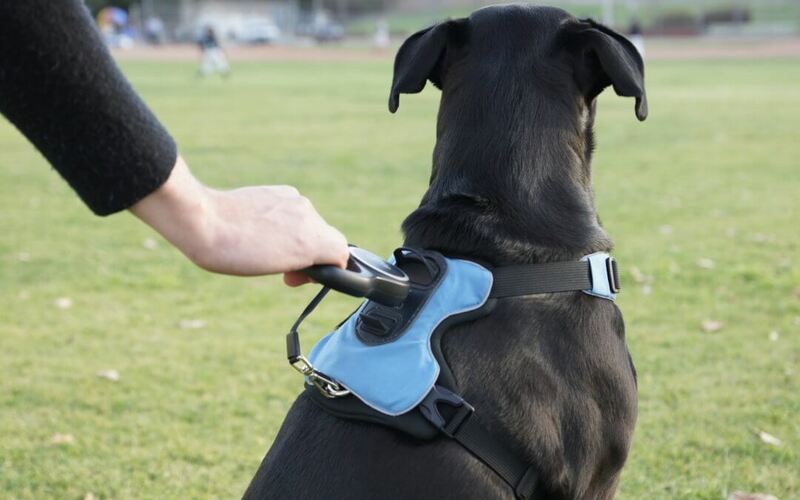 The leash retracts up to five feet and can be locked at any length. No longer do pet owners have to carry a leash with them because it’s conveniently attached to the pet’s harness for easy access. 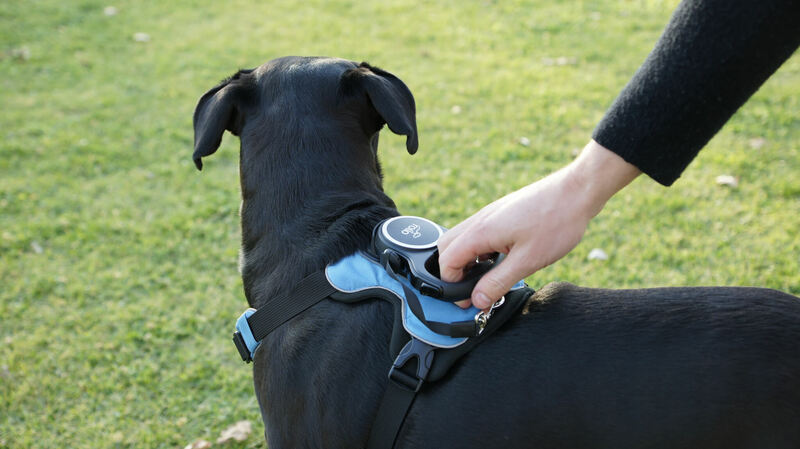 The one-piece system simplifies outdoor time with your pet so you and your pet can go on any adventure with ease. 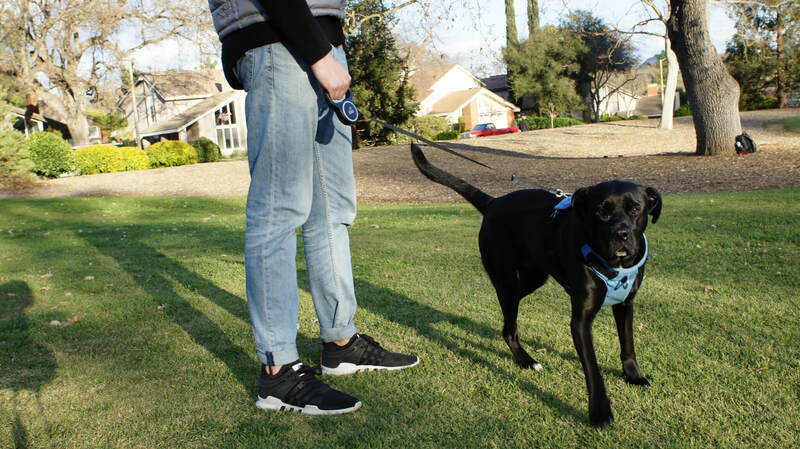 The designated area on the back of the dog harness keeps the leash out of the way during playtime while remaining easily accessible for on-leash activities. Simply pop it out to use it and then, once in a safe environment, pop it back in and allow your dog to roam freely. 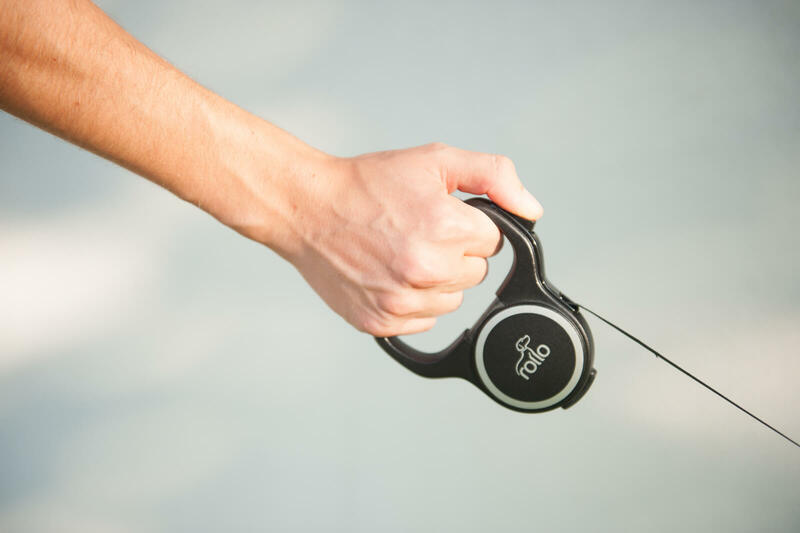 The leash is incorporated with a unique, clutch-type locking mechanism with high-strength distributed locking forces. It is also super compact and extends up to five feet. The harness is made from rugged, high-grade waterproof materials while still being extremely lightweight and the sleek and high-tech look ensures you will have the highest quality and trendiest dog gear.